In this rapidly evolving digital age, I didn’t expect to be reviewing anything connected with the old ways in a hurry. But DVS users still need needles right? 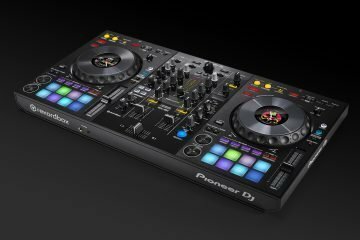 So it makes sense that 2 of the world’s most relevant brands in their respective fields should get into bed and come out with a needle designed with DVS users in mind. But wait… didn’t Ortofon already do that with the Digitracks? Well yes, but this was aimed at DVS users only. These new S-120 carts want to offer great performance to all vinyl users, be it control or original vinyl – you remember… the stuff with actual music on? No? 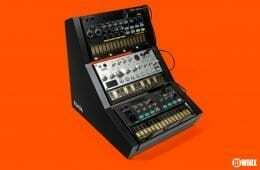 But it’s fair to say that this Serato branded cart needed something else about it to rise above the “oh it’s just an old cart with a paint job” accusations that float around. And indeed it does have a little sumthin sumthin to make it worthy of your attention. 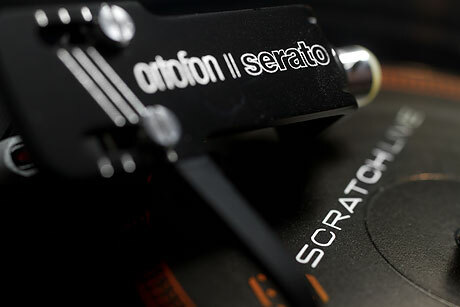 The S-120 is a collaboration between Ortofon and Serato to make the ideal cartridge for DJs who use real and control vinyl. They come in OM and Concorde configurations and also have a specific headshell to match. They have a go-faster stripe inspired paint job, but otherwise appear to be the same as all other OM and Concorde carts before them. The S-120 has a spherical needle which offers good sound reproduction but better wear characteristics than elliptical needles to deal with the rigours of cueing punishment i.e. 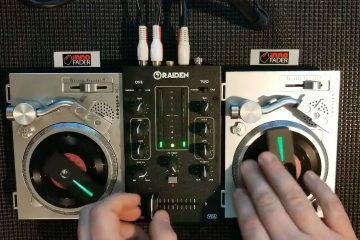 the perfect balance for DJs. The difference however is in the technology that you can’t really see with the naked eye. So let’s take a quick journey through the geeky side of Ortofon carts. 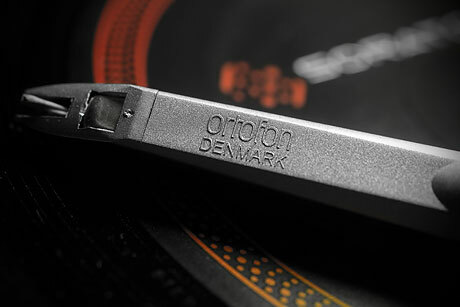 Ortofon DJ carts use a moving magnet technology. 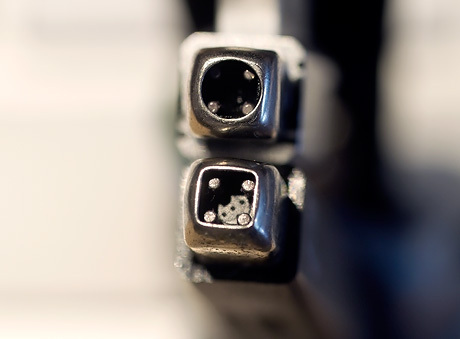 Dumbing down the technology considerably – the stylus or needle sits on the end of a cantilever (the tube bit) and is supported by rubber suspension. And the end of the cantilever is a magnet, which when pushed into the cartridge body sits between a pair of coils. 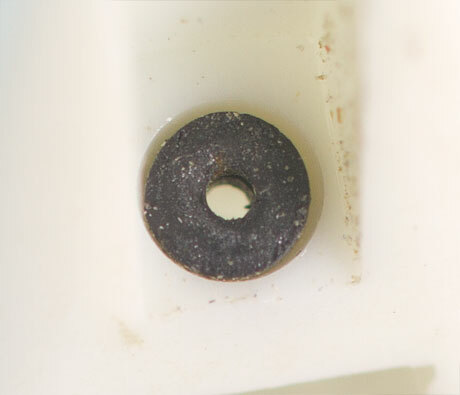 This makes a tiny electrical generator, which when the record groove makes the cantilever vibrate creates a small electrical current. Simple when you put it like that, but the full Ortofon version of how this works is right here. So you can see that there are a number of variables that effect the final quality of your performance and audio. But the main selling point of the S-120 is the new suspension system. Reducing this to the dummies guide to carts again – if you hold a cart and wobble the needle with your finger, the bit that allows it to flex is the rubber suspension. Normally this would be a uniform flexing in all directions, and the type of rubber used would dictate the amount of flex. And it’s this suspension that has largely determined the stability of the needle in the groove. But as you might imagine, putting a needle in a groove brings all sorts of forces into play, especially as you’re trying to balance sound quality with stability. And on top of that, you’re also wanting to pull the record backwards as well. Again, not wishing to blind or bore you with science, pulling a record backwards and forwards induces a distinct left to right movement. This left to right movement at its extremes literally tears the needle from the groove and amplifies the damage of cue burn as well. But boffins at Ortofon determined that the forces at play were uneven, and if the suspension could be made to work at different amounts on either side then the needle would stay in the groove a lot better, meaning less skip thus less weight ergo less burn and ultimately better sound. And that’s how asymmetric suspension came about. So asymmetric suspension simply means that instead of uniform suspension on all sides of the cantilever, the rubber suspension is tailored to counteract the different forces around the cantilever. In it’s crudest form, under my finger the left to right movement is fairly free moving, but up and down feels stiffer. 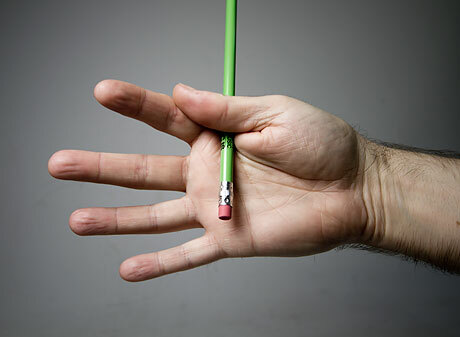 Normal Suspension: Take a pencil and wrap your index finger and thumb around one end. When you wobble it with your other hand, the force is uniform all round. Asymmetric Suspension: Grip the same pencil between your index finger and thumb. The force is now easier left to right, but firmer up and down. This dumbs it down considerably as the asymmetric suspension movement is unequal all round but you get the general idea. If you think of standard suspension as a pair of clackers (the old toy from the 1970s). The point of clackers is, through a gentle up-and-down hand motion, to make two balls swing apart and together, making a ‘clacking’ noise. When you get this right (like in the video), a constant momentum is maintained and the balls bounce into each other at equal intervals. It is a similar repetitive side-to-side motion within a record wall that causes record skip. Now, think of a pair of clackers made of one marble ball, and one rubber ball. Because the rubber is more absorbent the momentum of both balls will be different, and the ‘ricochet’ effect of a normal pair of clackers will be minimized. The balls will travel at independent, smaller trajectories and return to their beginning position swiftly. This is asymmetric suspension, as the tendency to ‘bounce’ from side to side of a record wall is hindered by an unequal suspension system. Essentially, detrimental ‘bouncing’ within a record wall requires equal forces on either side. At first look, it’s hard to see any differences with the naked eye. 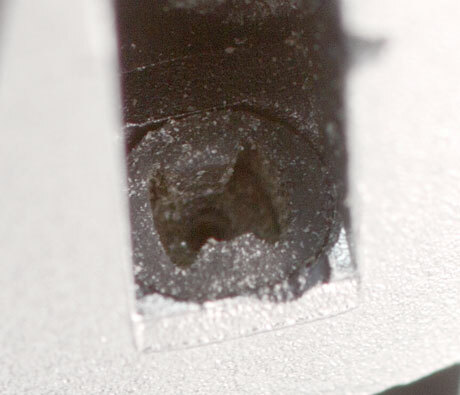 But when you get the suspension under a magnifying glass, you can see the distinct change – and marvel at how the hell Ortofon manage to engineer rubber at such small sizes.The full detailed explanation of asymmetric suspension is in this handy Ortofon document. The very first thing I have to get out of the way is breaking them in properly. 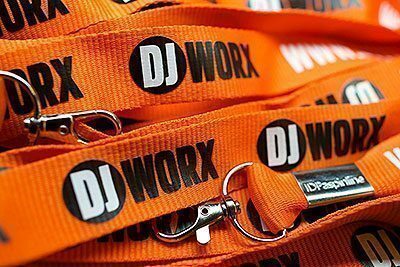 This is a must – an absolute given – as using them with adequate breaking in will results in carved up grooves and more skipping than a Double out team. Everybody has their own methods, but I seem to have the best success with putting maximum weight on and running on the label groove for 6 hours, or better still overnight. After that, my TTXs and STR8-150s need no special adjustments to work perfectly. 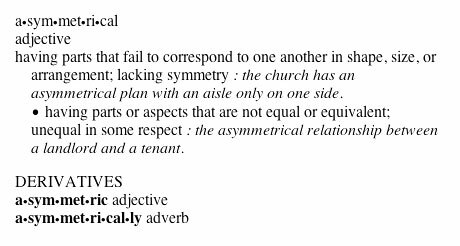 Yes – both straight arm decks I know so you would expect them to work well in the stability stakes. I did try out the TTX’s usually troublesome s-arm and did find them to be a little more stable than with other carts, but I’ve always though the TTX’s s-arm performance to be pretty poor. I know Ortofon will hate me for this, and probably a lot of purists out there as well, but I just don’t buy into the s-arm vs straight arm debate that continues to rage. And given the fact that most people looking to buy this cart will most likely be DVS users anyway, the sound quality argument is null anyway. Holding a decent control signal has never been a problem for me whether it’s Shure, Stanton or Ortofon. The issue has always been stability and that’s where the S-120 scores higher than any other. Apparently, this asymmetric suspension means that the S-120 has a much wider range of useful tracking force. 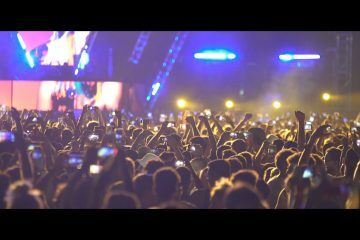 While it has an optimal weight of 4 grams, you can use a much lighter force to preserve precious and increasingly expensive vinyl, or pile it on to keep that needle in the groove when DJing in less than ideal circumstances – like spinning on an ironing board in an old house with bouncy floors (yes it happened). I used them with a variety of forces applied and the S-120s performed brilliantly. But obviously there is a tradeoff here – record wear vs stability, but the sound quality is constant. 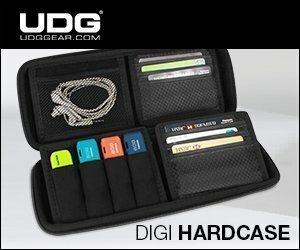 But there is a massive irony here – an awful lot of potential users are DVS owners, a lot of which are probably using relative mode anyway. Thus the importance of stability and audio quality is somewhat negated, and the S-120 loses it’s edge right out of the blocks. Indeed, my seriously battered 7 year old 447 needles performed just as well as the S-120s in these circumstances, albeit without the brilliant visibility of the Concordes. 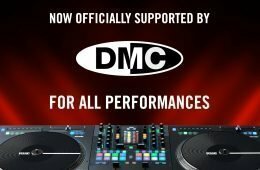 So it seems that the S-120s are for those wanting to tick as many boxes for vinyl playback as possible, or simply want the fullest Serato branded experience around. That said, I really struggle with Shures now, but more from a visibility viewpoint than anything else. And having been a veteran of swapping carts in headshells, there’s a lot to be said for using Concordes. That’s my preference these days. As ever, I’ll preface this section by saying that despite the science behind the carts, sound is very subjective and highly susceptible to all sorts of variables. I haven’t devised any kind of truly scientific test and can only report based upon my experience with what I have here – i.e. Shure 447s, Ortofon Qberts and Stanton 680 V3s. S-120 vs Stanton 680 V3 – Both sound great, but the bottom and mids are fuller with the S-120s. S-120 vs Shure 44-7 – Generally a little quieter and not quite as bright sound wise. But the difference is minimal to be honest. 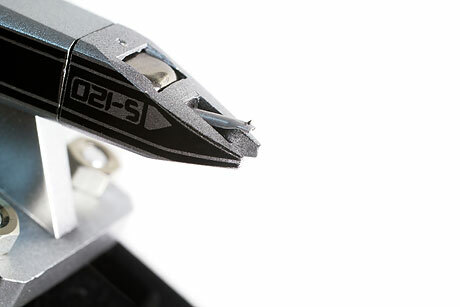 S-120 vs Ortofon Qbert – The Ortothuds are tiny bit louder and has a tad more lower end grunt than the S-120. While some of you will claim massive differences in sound, I found that they could be tweaked to match with the slightest EQ adjustment. And I could only tell the difference when pitching one against the other while slamming the fader back and forth while rocking doubles. So the likelihood is that in the real world, matched carts would sound too close to tell. In a sentence – the S-120s sound ear pleasingly nice. 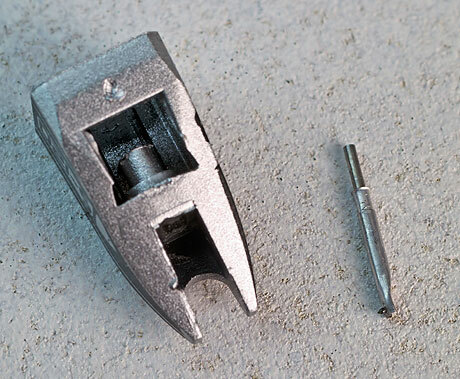 One big question that has always followed Ortofon carts has been the interchangeability of the needles. 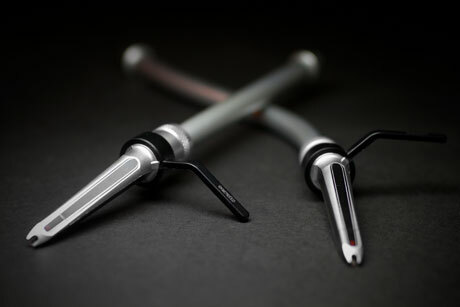 Obviously some are more expensive than others, but with the S-120s, there has never been a better time to save cash and squeeze an asymmetric stylus into your old el cheapo OM Pro S.
Despite denials that you can’t interchange styli, you actually can. Well mostly – the fitting is different, and on closer examination, an S-120 on a Qbert isn’t the very best fit in the world. But it does fit well enough to give it a road test. But sorry to disappoint – while they may physically interchange, sonically you may be quite let down. I swapped the Qbert stylus into the S-120 and got a pleasing if less stable performance. 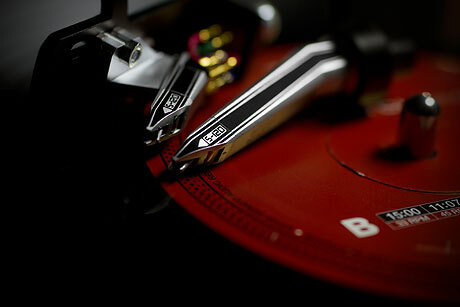 The S-120 stylus in the QBert however gave me the asymmetric stability as well as a full sound experience. 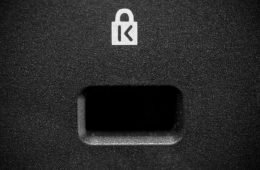 So it seems that you may well be able to simply drop cash for the S-120 styli to get the stability you want, but I nor Ortofom make no guarantees as to they’ll give the audio quality you like. My advice is to stick with matched pairs – it’s an expensive experiment to find out it doesn’t work. For a very long time, I was beguiled by the cool stumpy loveliness of the Shure 44-7s, eschewing the allegedly skiptastic pointiness of Ortofon so I could stay in the cool scratch club. But then I was sent a pair of Ortothuds, and after persevering through the breaking in period, I never looked back. Granted, the Ortofons do take longer to break in – something that some haven’t persevered with and thus dismiss then as skippy vinyl destroying instruments of Satan. In my experience it simply isn’t the case. For me, the reality is that when I use something other than a Concorde, I may as well wear a blindfold, because visibility of the needle with Concordes is without question. But the big news is the new tech. Rather than being the suspected new paint job with fancy pants words marketing ploy, this new asymmetric suspension malarky really does work. 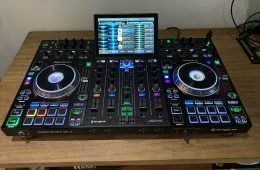 Bearing in mind that DJs have been abusing vinyl for decades, I would have thought that the technology would have evolved a tad quicker than it has. 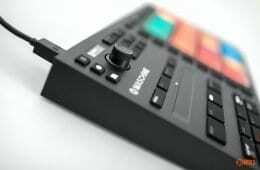 But at least Ortofon and Serato have now stepped up their game and actually doing something positive. 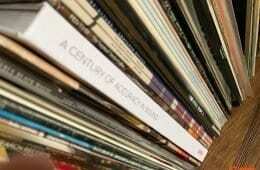 The irony is that it’s happening in the twilight era of vinyl. The issue for the majority of potential buyers is the price. At £270 for a pair of Concordes plus spare needles, they’re a long way from cheap. Ortofons never have been especially wallet friendly in comparison to Shures. That said, you can get an S-120 OM in a headshell for less than a similarly mounted Shure 44-7. So it’s up to you – pay more for the all-in-oneness of the Concordes, or come in competitively via the OMs against Shures. 44-7s suited me just fine for a long time, but my money is most definitely with Ortofon now. The visibility, quality and now added stability really does make them my needle of choice. Micro engineering at its best. Subjective of course, but across the DVS and regular vinyl range, the S-120s give you solid performance. The new Asymmetric suspension is what they’re all about. And it really does work. They are quite heavy on your cash reserves, but I feel that you get what you pay for. 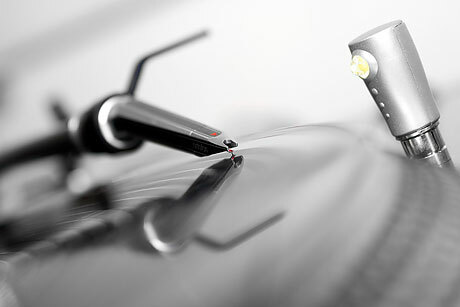 This is probably the line that most people want to read – for across the board performance, the Ortofon Serato S-120 Concordes are now my cart of choice.